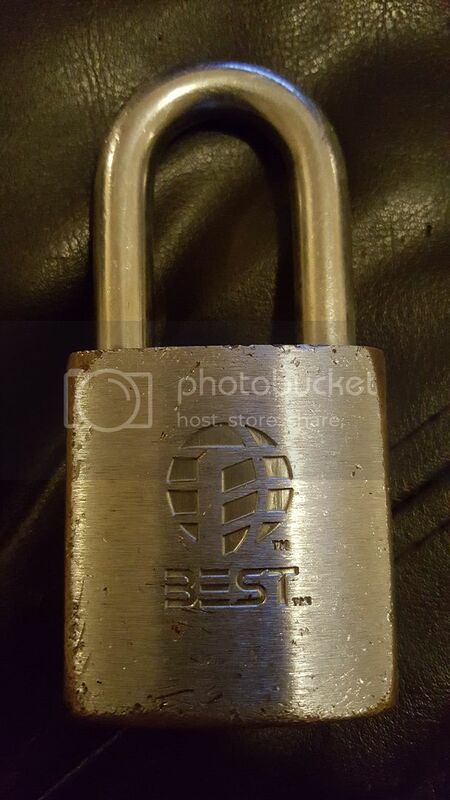 Here is a BEST padlock which I have found. I was able to rake it open a few times, but never to control. My first Questions is: Is the core removable? And secondly: If so, should I drill it out? I have several BEST cores and would like it replaced. 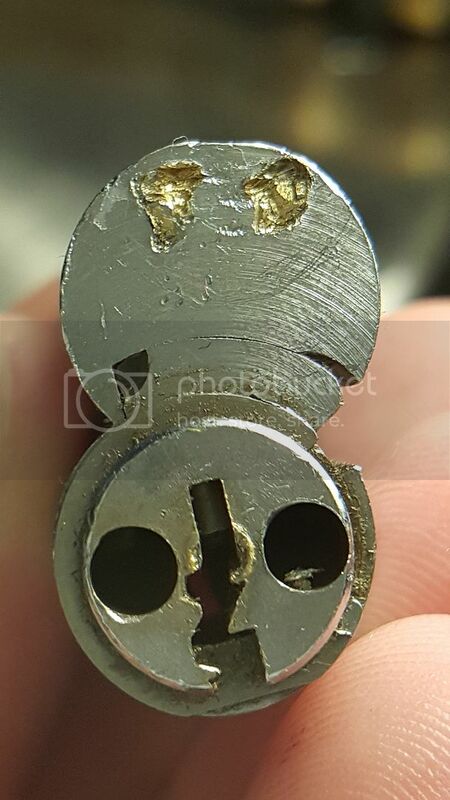 Keep in mind that the cylinder and keyway are both damaged, making it impossible to ssp due to the core binding the the housing. Any suggestions? Yes, the core is removable. If it is impossible to pick then drilling would be your only option. Do you have control keys for your other cores? If not you will not be able to put them in. That's a good question....no. I just have pinned cores. Never even tried to open them. Can you SPP it to operating shear line? 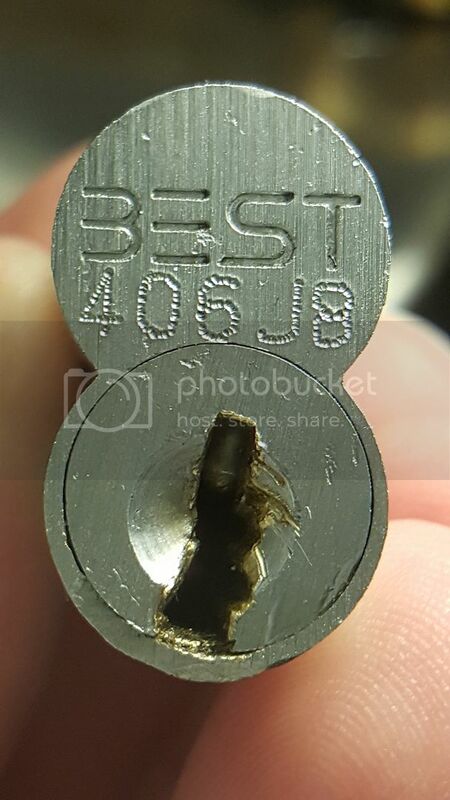 Very nice lock. That one has some stories to tell. 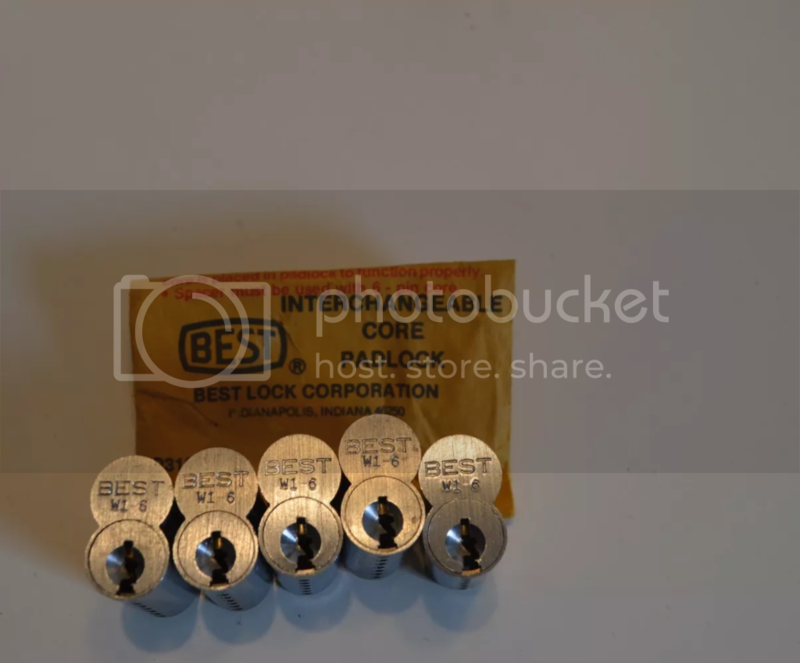 You would need to have those cores decoded and keys made, then you could pop one in your padlock. if you want to send me the cores I will decode them and cut keys. Thanks Anarchy this helped. I was not sure how the lug interacted with the cylinder. I wish there was just a screw under the shackle. 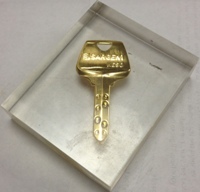 jeffmoss26 wrote: if you want to send me the cores I will decode them and cut keys. Just pm me when you're ready. Hey welcome to the board. Looks like you got answers to all your questions but I have a question, where in NY are you from? Papa Gleb wrote: Hey welcome to the board. Looks like you got answers to all your questions but I have a question, where in NY are you from? I was able to rake into control. I think somebody had tried to remove the core before me. 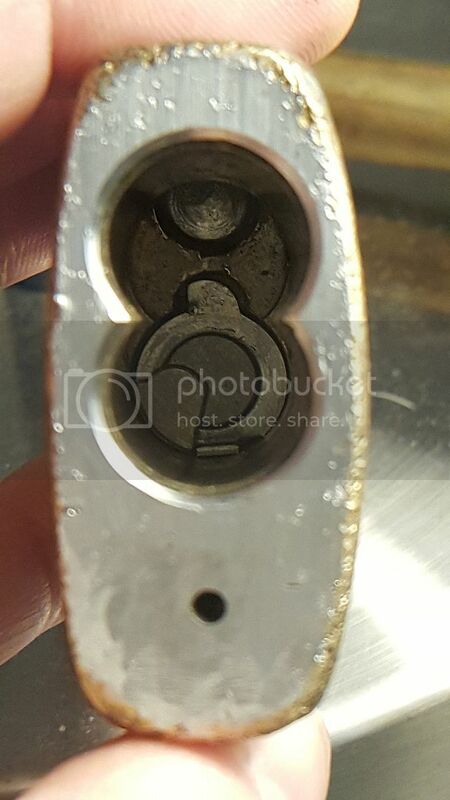 By the looks of the wear on the locking lug and on the back of the cylinder as well as the keyway I've come up with a conclusion. 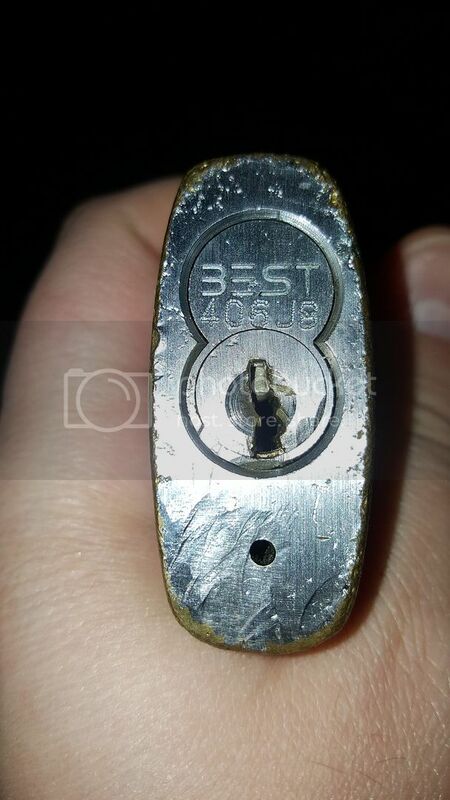 The lock was picked open and the person trying to remove the core must have had some experience with locks because it was picked or bumped operating to make way for a screwdriver. 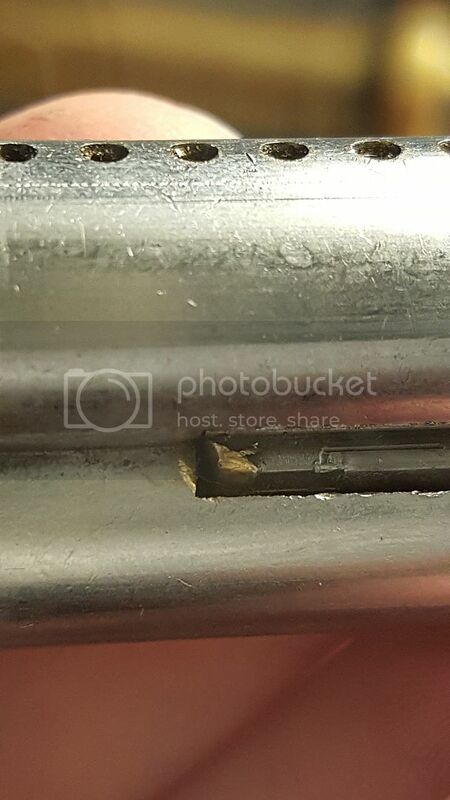 Why the person was putting extreme tension on the cylinder with a screwdriver he was also trying to hammer the core out with a small hand tool. That explains the damage.